The show's tightly executed production was upstaged only by the couple themselves, who are undeniably at their best when collaborating. Why See Tim McGraw and Faith Hill? Two of the biggest stars in Country music and husband and wife have teamed up for the first time to bring you their debut album as a duo, The Rest of Our Life. With their worldwide tour Soul2Soul, which has already been seen by close to one million audience members, brings together two of the biggest sounds in Country music together to bring you a night and music to remember. Tim McGraw's career has been ever climbing ever since the late 90s and early 2000s. Since his first break through album "Not a Moment Too Soon" (the stars second album) McGraw has gone onto release 14 studio albums, ten of which reached number one on the US Country charts. McGraw has released over 25 number one singles which has landed him three Grammy Awards, ten AMA's and three People Choice Awards making him the most successful country artists of his time. Faith Hill is the most successful female Country artist of this era. Her debut album "Take Me As I Am" put Faith on the map. Hill became the first female country singer in 30 years to hold Billboard's number one position for four consecutive weeks when "Wild One" managed the feat in 1994. Since then Faith Hill has sold over 40 million albums worldwide has landed herself five Grammy's and six AMAs. Sound good to you? 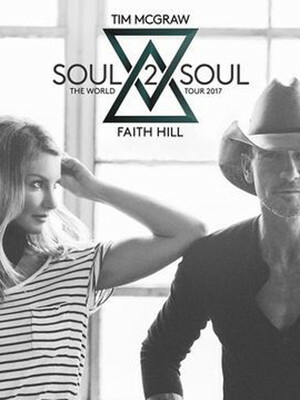 Share this page on social media and let your friends know about Tim McGraw and Faith Hill at Golden 1 Center.